Fast delivery, good product packaging. Product receive in good condition. Product I received expired on Nov 2019. Dear customer, the expiry date for Milo Active Go UHT 24 Packs 200ml is on Jun 2019. Thank you. Hi, may I know when is the expiry for this item? Thanks. I wonder how to apply coupon n save more. 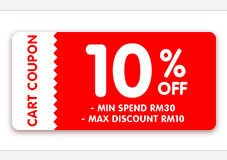 Each time l apply my cart coupon l am unable to get any discount. Since l intended to online purchase from you the Milo Activ-Go 24 Packs on a regular basis l wish to save more by applying coupon. Kindly provide more info on the above subject. Thank you.